Procycles is one of Sydney’s most established, iconic motorcycle shops with a history dating back over 40 years. Our original store is located in Hornsby, servicing Sydney’s North Shore and Northern beaches and our second store at St Peters covers Sydney’s CBD, Eastern Suburbs, Inner West and south to the Shire. Two convenient locations, friendly staff and a vast array of the best brands, parts and accessories. Procycles are not like other motorcycle dealers. Come in and experience the difference for yourself. The Procycles philosophy has always been to put you the rider first. To ensure you have the best riding experience possible. We understand first time riders who are negotiating their way through the many choices they have to make. And we totally get motorcyclists who have worked hard, been riding for years and now want to step up to the bike they have been dreaming about. No matter what stage you are at, in a Procycles showroom you will find it all. More importantly, you will find experienced people who can offer advice and first-hand knowledge to help you with all the options and to explain the latest rider-assist technologies available on the latest models. At Procycles we have a huge demonstrator fleet covering most models, so when you narrow your choices you can compare the bikes back-to-back and decide for yourself. When it comes time for you to get dressed for your ride, Procycles have the largest range of BMW and KTM genuine Riderwear, Clothing and Accessories to ensure you are comfortable and safe out there in the elements. No pressure – just call in at either location. You are welcome anytime. 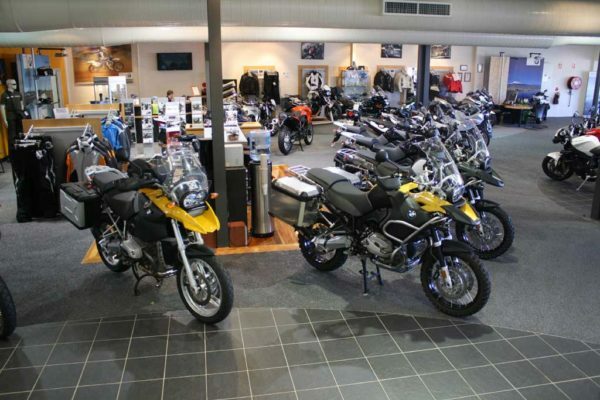 The Procycles Hornsby Showroom is located at 148 George Street, Hornsby. George Street runs parallel with the railway line and Hornsby train station is only a few minutes walk from Procycles. The best way to access the shop and park is via Hunter Lane, which runs along the back of the block and there you will find our carpark and the entrance to the Procycles Service Centre. 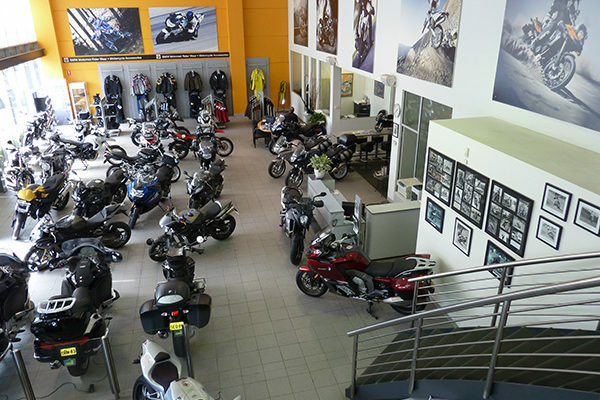 The Hornsby showroom features two large floors of new and used motorcycles. BMW upstairs with KTM and Suzuki downstairs. Procycles St Peters is located on the Princes Highway, just a few minutes south of King Street, Newtown and a short walk to St Peters Railway Station. We are on the corner of the Highway and Albert Street. Ride into the shop and park safely if you on a bike and there is usually parking available in Albert St for cars. The St Peters shop is adjacent to the massive Westconnex road works project, which will be really convenient when it is finished. The tunnel from the M4 at Granville will emerge right behind the shop at St Peters. During the construction phase there may be some disruption but Procycles will be open right through the project, expected to be completed in 2019.